A cellphone video has surfaced of the disturbing March 9 episode in Trenton. 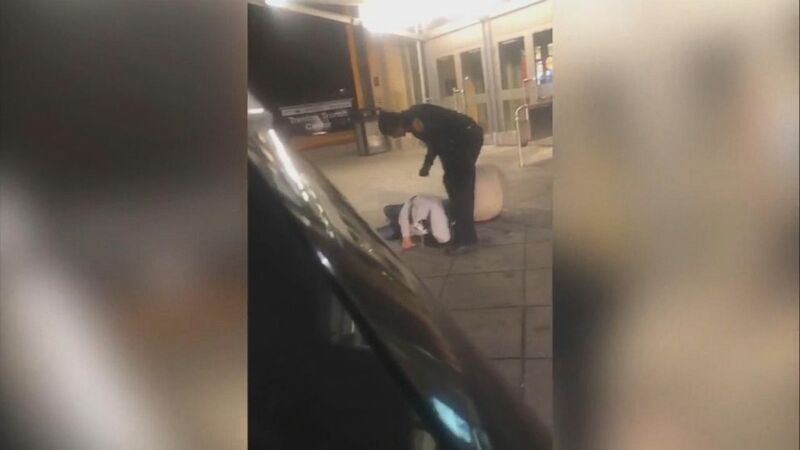 A cellphone video apparently showing a New Jersey Transit Police officer dragging and hitting a semiconscious man outside a train station in Trenton over the weekend has prompted an internal investigation by the agency, officials said. "I can only attest to what I saw and what I saw wasn't warranted," the woman who took the video told ABC station WPVI-TV in Philadelphia. The woman, who requested anonymity, said the troubling incident occurred around 10:30 p.m. on Saturday outside the Trenton Transit Center. 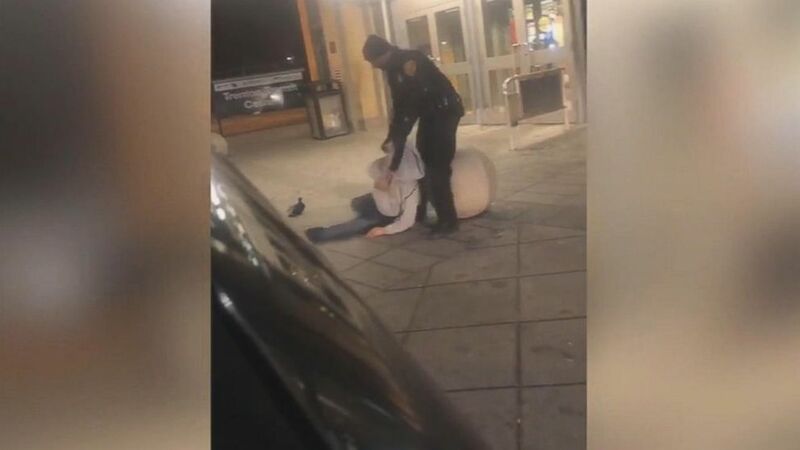 (WPVI) A New Jersey Transit police officer is under investigation after a cellphone video surfaced showing him apparently dragging, cursing and hitting a man who appeared to be passed out in front of the Trenton Transit Center, March 9, 2019. The woman, of Bucks County, Pennsylvania, said she was waiting for a ride outside the train station when she heard a commotion and then started filming the encounter with a cellphone. She said she first noticed the man sitting against a wall outside the station just before the encounter with the transit officer occurred. "There was no resisting ... he wasn't even speaking," the woman said of the man who she says appeared to be passed out when the officer showed up. 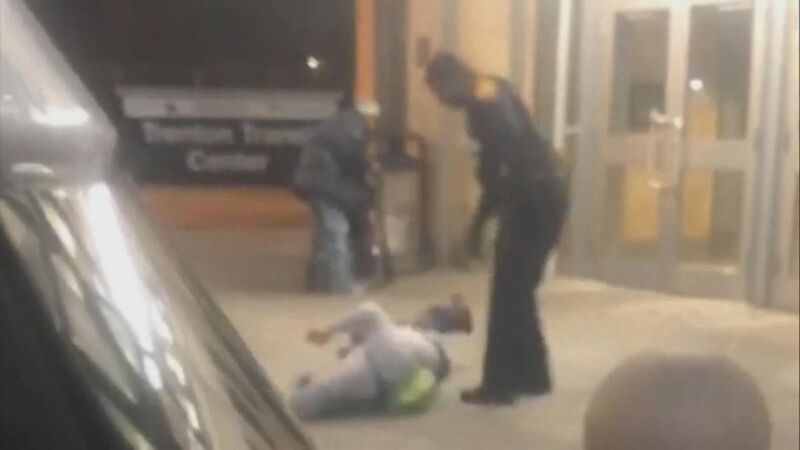 The video captures the officer, whose name has not been released, yelling at the man, who is seen collapsed on the sidewalk outside the entrance doors to the station. "Get up and get out now!" the officer is heard telling the man. When the man didn't move for about 30 seconds, the officer allegedly grabbed him again by the hood of his sweatshirt and dragged him a few feet toward the curb before throwing him to the ground. Jim Smith, a New Jersey Transit spokesman, said the officer in the video has been identified and placed on administrative suspension, pending the outcome of an investigation. "The matter is currently under investigation with the New Jersey Transit Police Department Internal Affairs," Smith told ABC News on Monday. It was unclear if the man seen allegedly being roughed up by the officer has been identified. "That's all part of the investigation," Smith said.